Forums, reviews, blog posts, comments and social mentions are among the types of content that can be generated by your users. UGC is used by news organizations such as the BBC and CNN to plug the gaps that their own journalists can’t cover by submitting photos, videos and updates on breaking news. This kind of content is effective for attracting a community with nearly any demographic. 80% of users look for recommendations from strangers to influence purchasing decisions. Among this group, user generated content in the shape of reviews is key to purchases of electronics, cars, travel, credit cards and insurance. No business can afford to ignore this huge group of consumers. User Generated Content is powerful. So how can you tap into the user-generated content vibe? 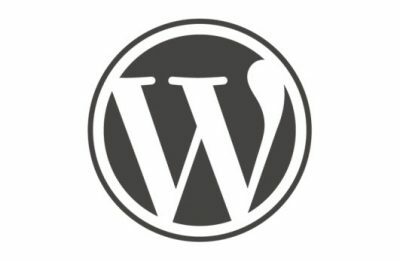 If you’re running a WordPress site, then you have lots of options. Here are some of them. One way to allow users to submit content to your WordPress site is to use the roles built into the software itself. You can choose the default role for new users in the admin dashboard. People can register as contributors to the site and can then create and submit posts for you to review. This basic role has some limitations, such as the inability to add images or to access posts for editing once they have been submitted. Other roles give more access, but may also give contributors capabilities to alter other aspects of the site, which you may want to avoid. Another option for managing roles and capabilities is the WP User Control plugin. This adds a login, registration and password reset widget to your sidebar. WordPress has a very useful post by email feature and with a bit of tweaking you can use this to get users to submit content to your site. Greg Boggs provides a useful outline of how to achieve this. Use a contact form plugin – almost any one will do – and point it to the WordPress post by email address. Experiment with your form design so you get the right fields for post title, content and so on. The two options above work, but they are not perfect. With the first, remember that users may not want to register in order to contribute to your site. With the second, you may still have to do some tweaking to format the posts in the right way for the site. If you want to make the job a bit easier, then an even better option is to get a plugin to do the heavy lifting for you. Here are some plugins to help you manage UGC. Quick Post Widget does exactly what it says: provides a widget from which users can write a post and make it live. It even includes the option to switch to the visual editor and can be customized to allow admins to approve posts before they go live. 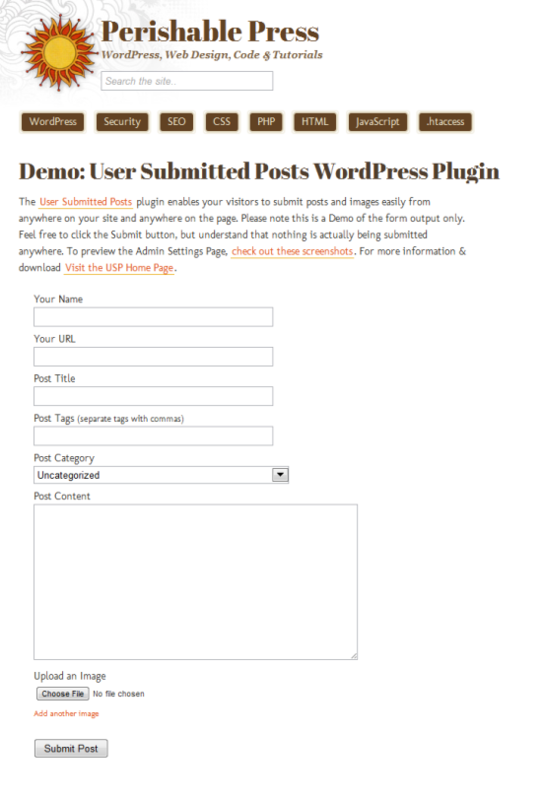 NB: This plugin does not appear to be available via the WordPress plugin repository. Similar functionality for photos only is available via the Quick Post Image Widget. The WordPress Guest Post plugin allows you to add content to your site via a form on a purpose-built page. The form includes a Captcha to help weed out spam. These posts go in their own tab in the admin dashboard and you can review them before posting. The latest version of this beta plugin is available here. 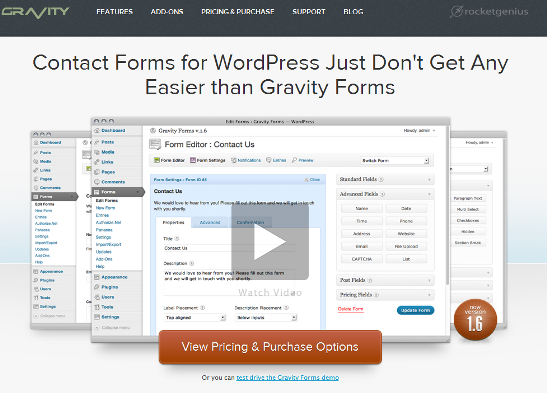 Gravity Forms isn’t free, but thousands of users rate it as one of the top contact forms out there. So you won’t be surprised to find that it’s a great option for getting UGC on your site. All you have to do is set up the form as usual, but use form field titles from WordPress for title, content, tags, categories and so on. GravityWiz has an excellent tutorial on the process to help you get started. Another option for getting user generated content on your site is to include a forum on the site. 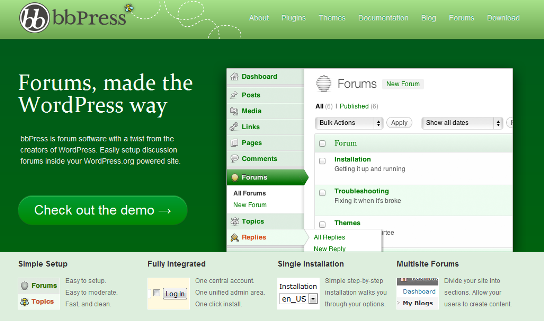 There are several forum plugins for WordPress, but among the most popular are bbPress and SimplePress. If you need more choices, check out the ones in this article from WPMU.org. 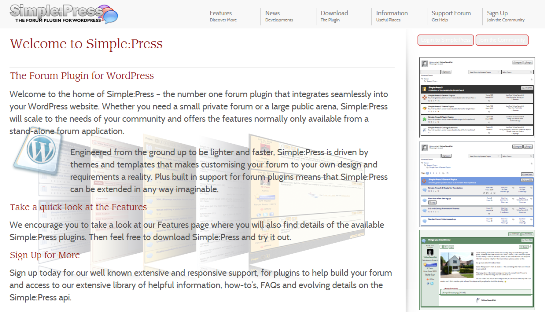 These plugins include all the functions you expect from forums including user registration, post moderation, signatures, anti-spam tools and much more, as the SimplePress feature list shows. The great thing about forums is that they help you to build an engaged community on your site and, while you may need a moderator, they pretty much run themselves. 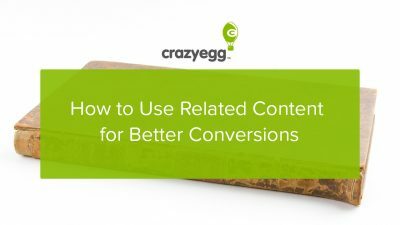 Finally, don’t think that you have to pick just one of these methods for getting user generated content on your site. You can include a forum, have some regular contributors and use a form on a page or sidebar so that other users can also submit posts and links. That really is having it all!